The Mia skirt is a basic flat front skirt with an elastic waist. 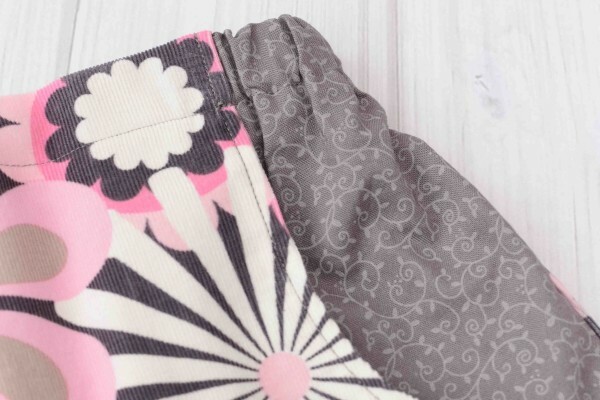 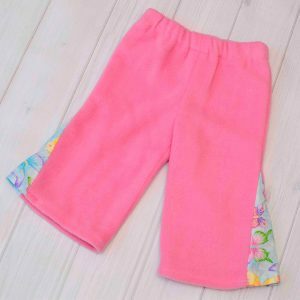 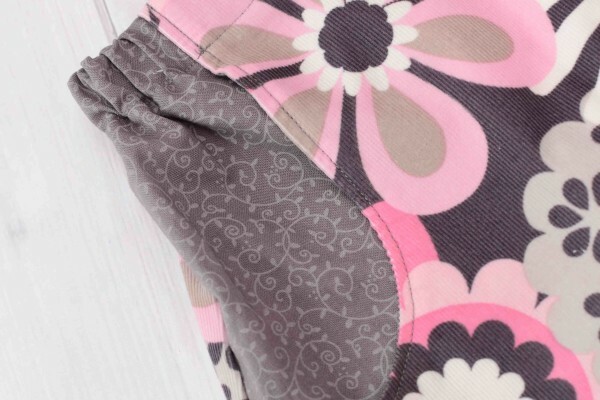 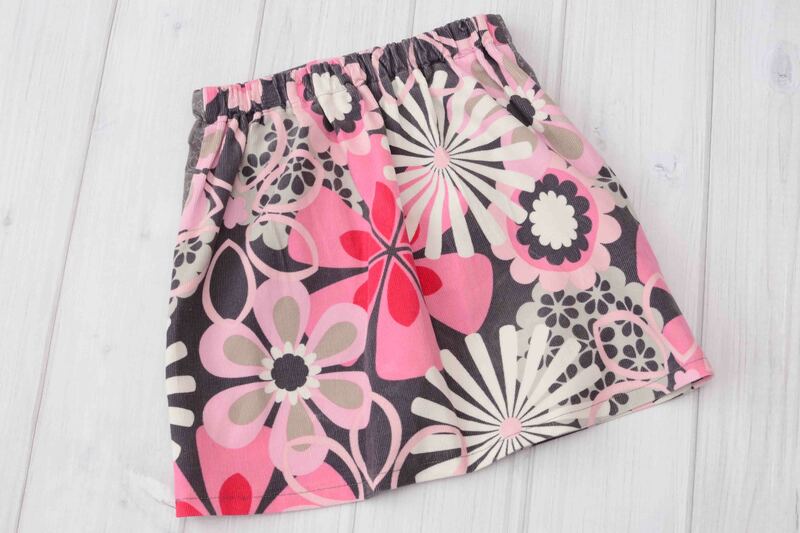 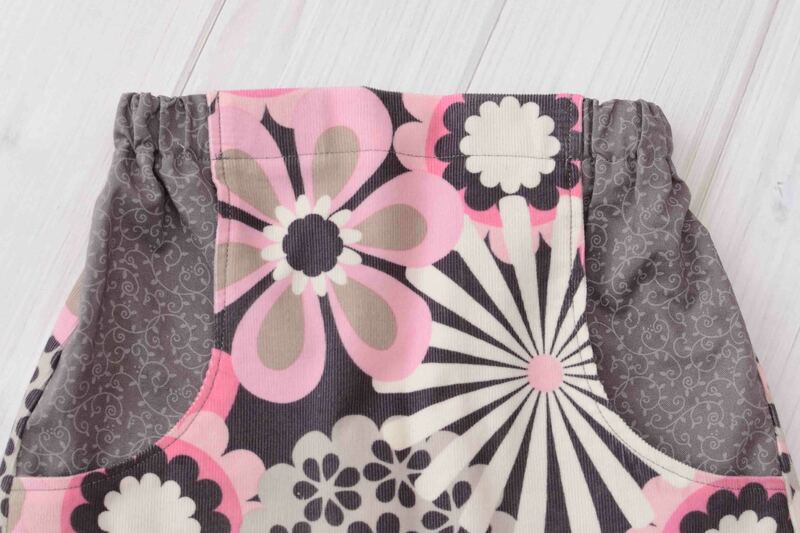 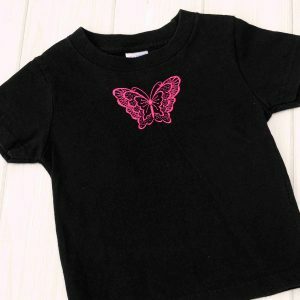 The contrast pockets add a splash of color and are perfect for your little girl to keep her stuff in. 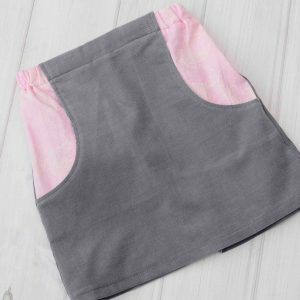 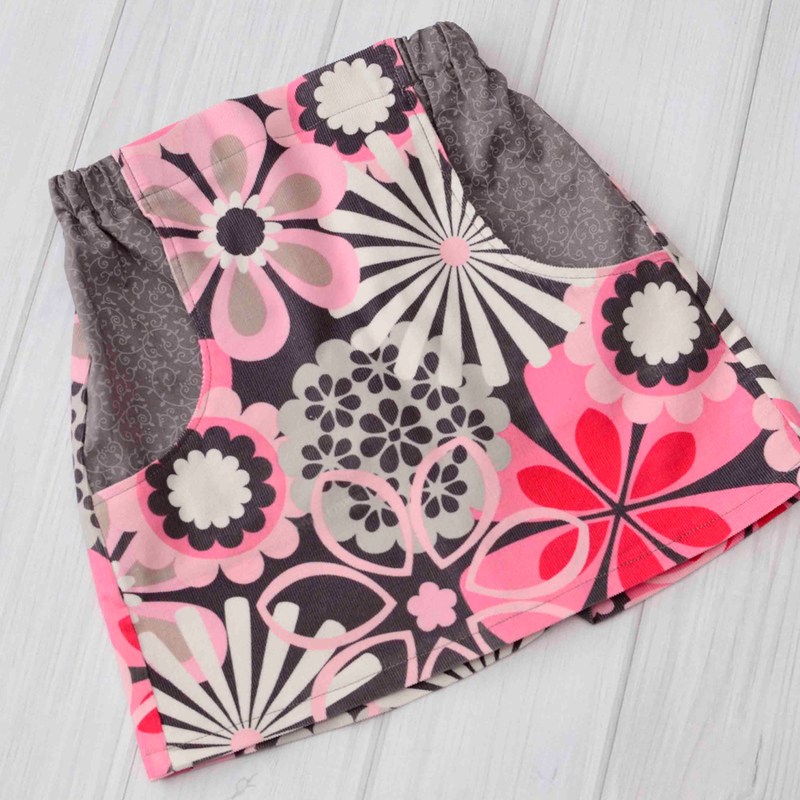 This skirt is made with 100% cotton fabrics in a gray and pink flower print corduroy and the contrast pockets are made with a gray vine print fabric.